William H. Best III of Gig Harbor passed away unexpectedly on Thanksgiving night, the 22nd of November 2018 surrounded by family. He was 79. Bill (Poppy) was born March 5, 1939 in Goldsboro, North Carolina to William and Sara Best. His early childhood was spent in North Carolina where he always looked back with fond memories. Later they moved to Pennsylvania where he first married then to California where he started his family. He also spent time in Washington DC for his career, and Arizona where he loved the beauty and warmth of the desert. Eventually he joined his daughter in Washington State where he became an enthusiastic 12th man. Mr. Best had many careers. In San Jose, California he interviewed Gerald Ford, shortly before he took office, on his television talk show “Best in the West” and coined the phrase “a heartbeat away from the presidency”; he was on the planning commission in Santa Clara and he once ran for office against John McCain in Arizona; started Jason Systems; and sold the first IBM computers, but the time he valued the most was his service managing The Crossroads, a substance abuse recovery program in Arizona. Poppy made friends wherever he went and was said to own the room later in life as he shuffled his way along. He had a sly unassuming sense of humor that kept you on your toes always followed by a chuckle and little curve at the corner of his mouth. He frequented AA halls across the globe and always found fellowship there. He was very proud of over 35 years of sobriety through the program of Alcoholics Anonymous. He liked puppies, The Doors, Big Bang Theory, and Three and 1/2 Men. 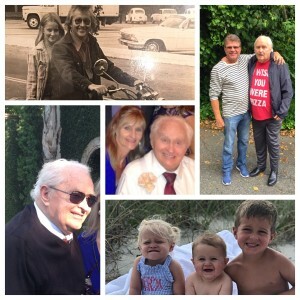 He truly loved having three great grandchildren. Poppy lived, he truly lived. And he will be truly missed. Mr. Best is survived by his son William (Tracy), daughter Barbara (Will), granddaughter Ashley (David), grandson Garrett (Claire), grandson Jared Best and three great-grandchildren Tre, Arrow and Grant. His family holds onto the hope he is now walking on air with those he loved and missed very much. They rest in the promise of a reunion. Poppy is being cared for by Haven of Rest. His final resting place will be in Goldsboro, N.C. Please check back for a local service time.